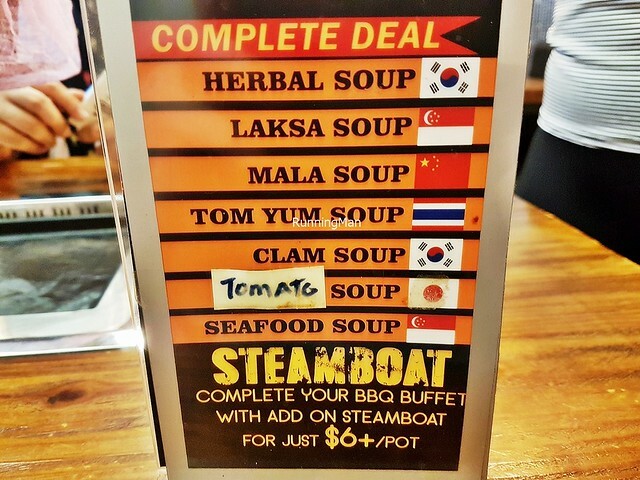 Budget about SGD $30 per person. 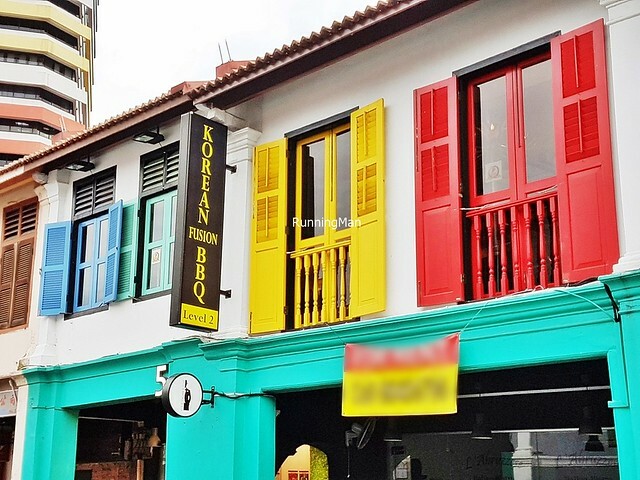 Orginally established in the Changi Village area in January 2014, Korean Fusion BBQ opened their present location, in the Jalan Besar area, in October 2015. 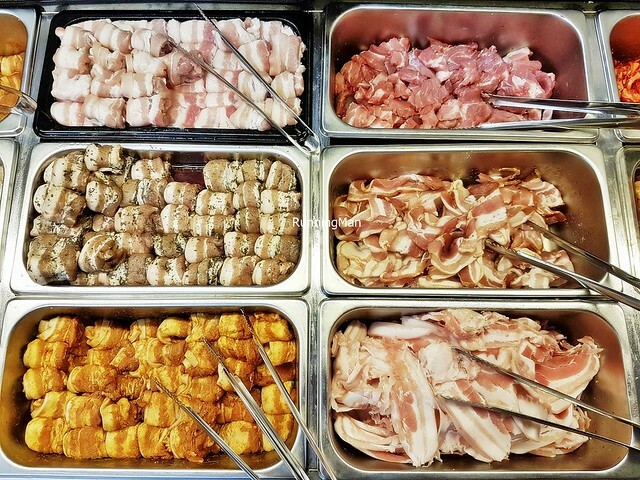 They are well known for offering a South Korean style barbecue buffet, with marinated meats and sauces inspired by Southeast Asian and Singaporean flavours. 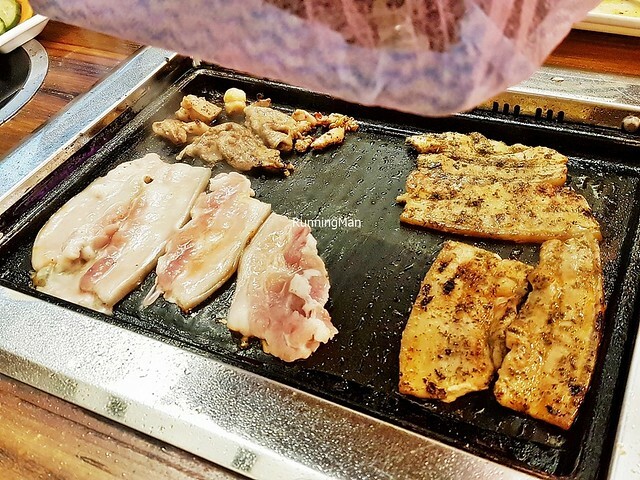 In fact, the speciality at Korean Fusion BBQ is their pork belly - with up to 9 different marinated varieties. 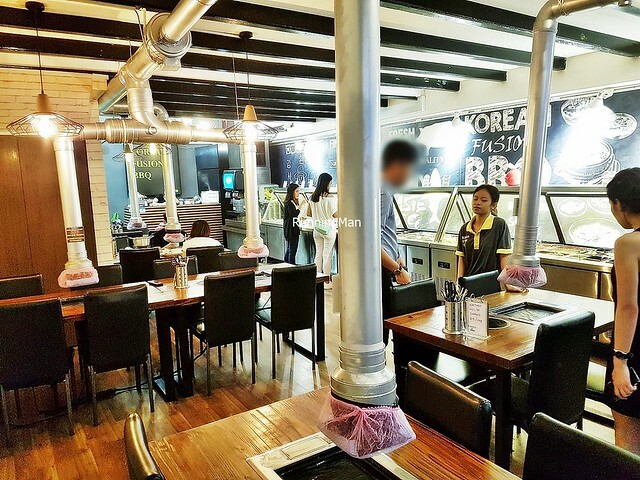 Ambience at Korean Fusion BBQ looks young and hip, though I felt the basics are functional at best. 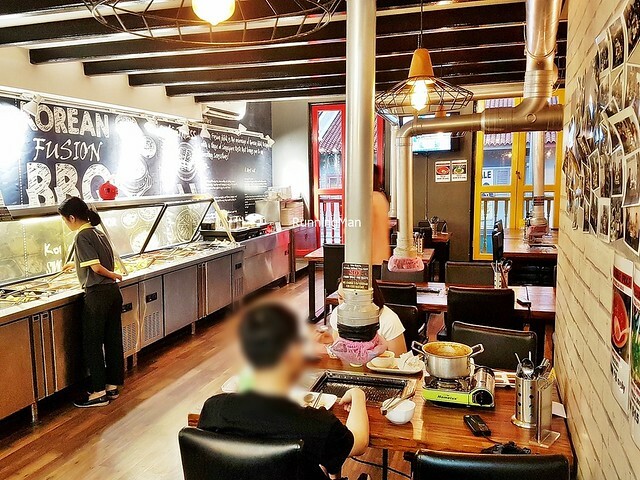 The spacious seating area is neatly lined with sturdy wooden tables and semi-comfortable chairs. Each table has an in-built smokeless grill, over which hangs the exhaust nozzle, a large and bulky tube which blocks freedom of movement. During our visit, there was a problem with some power sockets, leading to a brief blackout twice. 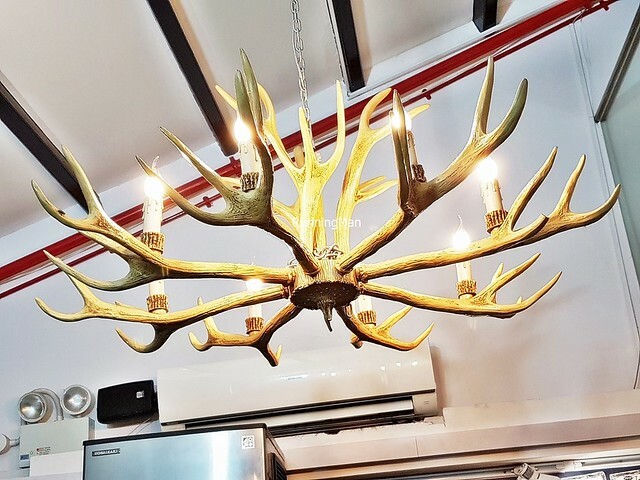 Decor is designed to inspire awe, with large typography adorning the walls in graffiti style, curious decorative lighting casting a warm glow, and photos of South Korean idols around. Ventilation is poor, you leave with a strong smell of cooking sticking to you. 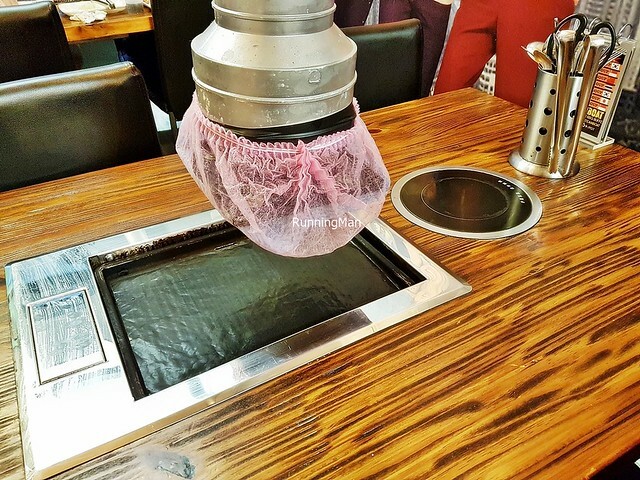 Service at Korean Fusion BBQ is good. The relatively young staff offer greetings and seat guests quickly. 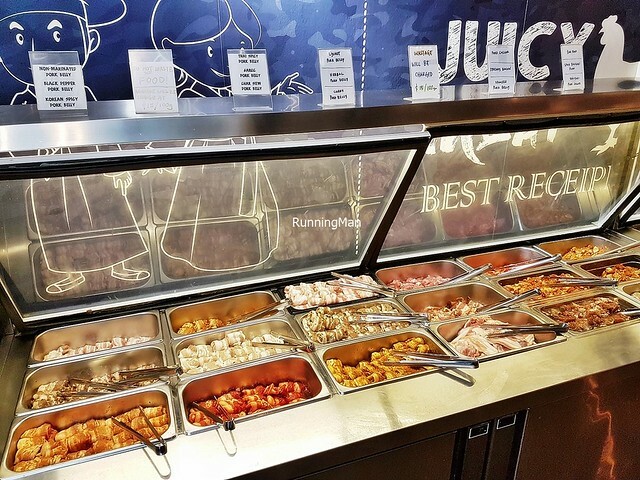 They display competent product knowledge, but only if you ask about the items in the buffet display. 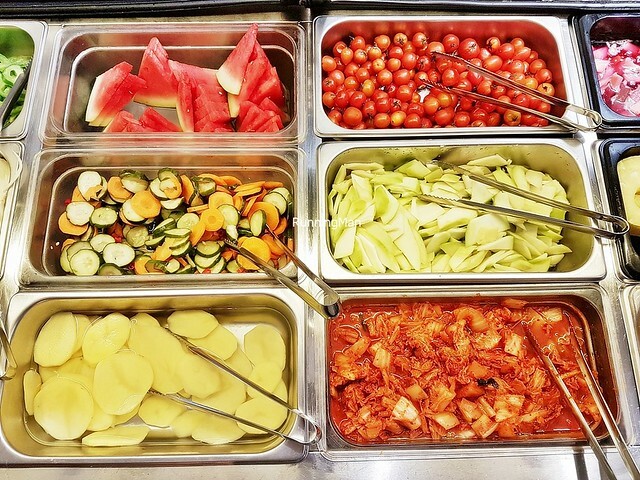 More importantly, they move around often to assist in clearing away empty / dirty plates and tables, freeing up space for diners to get more food from the buffet line. 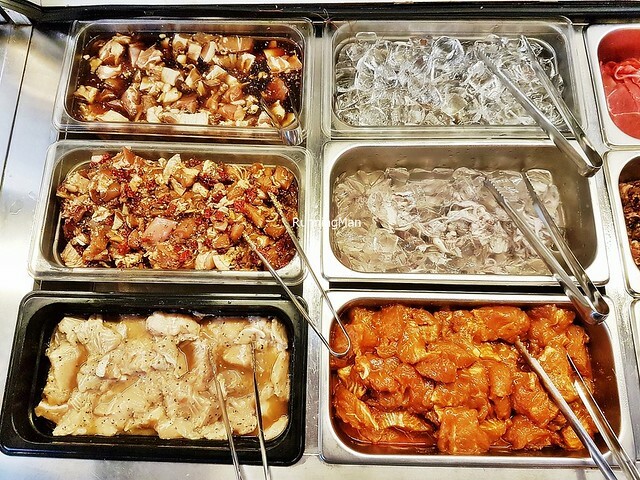 I'm also glad that empty food trays are quickly refilled, so the buffet display always looks attractive and appetizing. 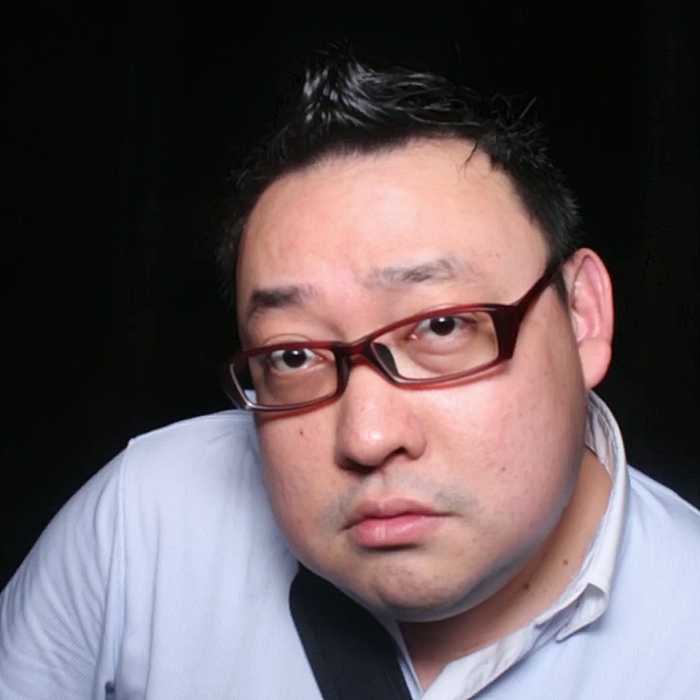 However, don't expect much interaction, unless owner Lim Shwu Shan is around. 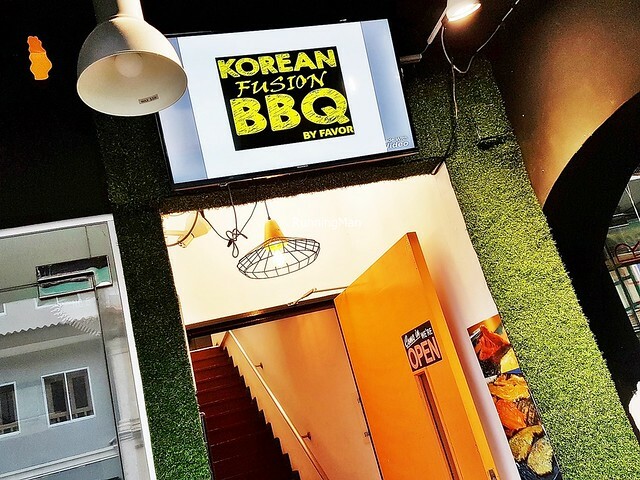 Food at Korean Fusion BBQ is 'Korean Style, Singaporean Taste'. 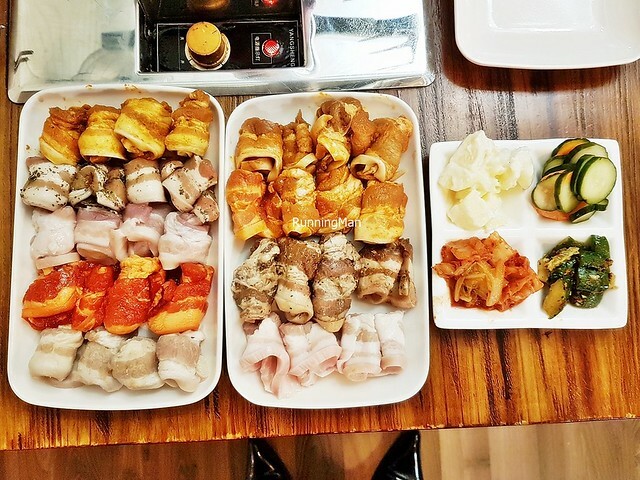 Distinct South Korean style barbecue, with an extensive variety of meats, marinated in Southeast Asian sauces. 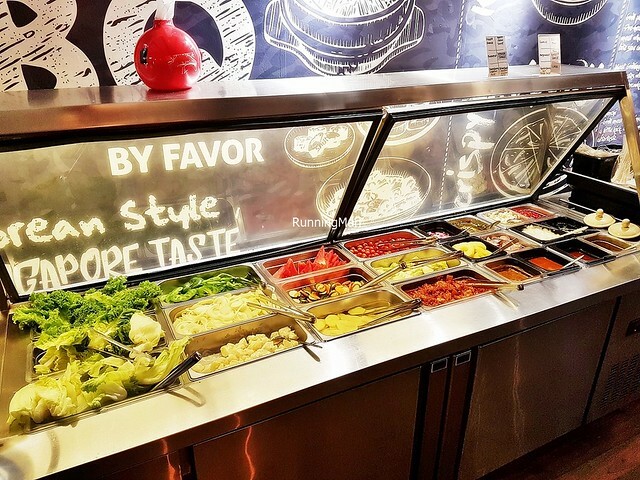 The buffet line-up has over 50 items! They also have a secret ala-carte menu, this isn't offered unless diners ask for it. 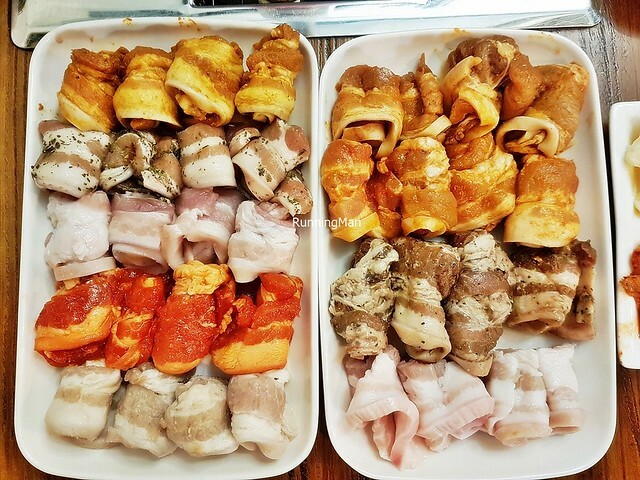 Expect bold, distinct flavours, especially from the speciality - the 9 types of marinated pork belly. 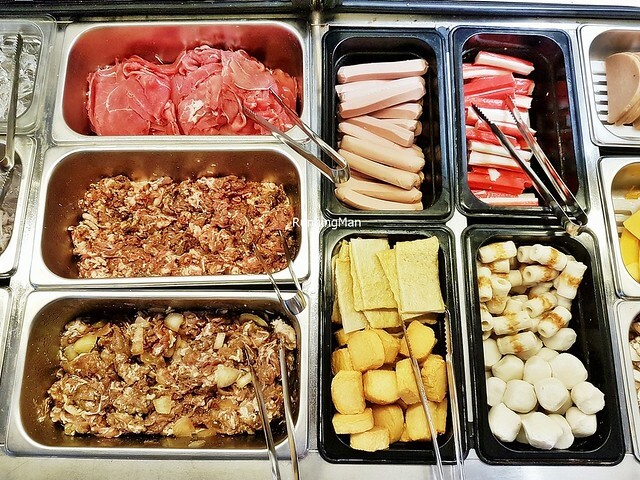 You self-service the food options, then cook it at your table, using either the smokeless grill (which has a food safe plastic mat to prevent sticking), or the induction cooker which is used to keep soups or steamboat pots warm. 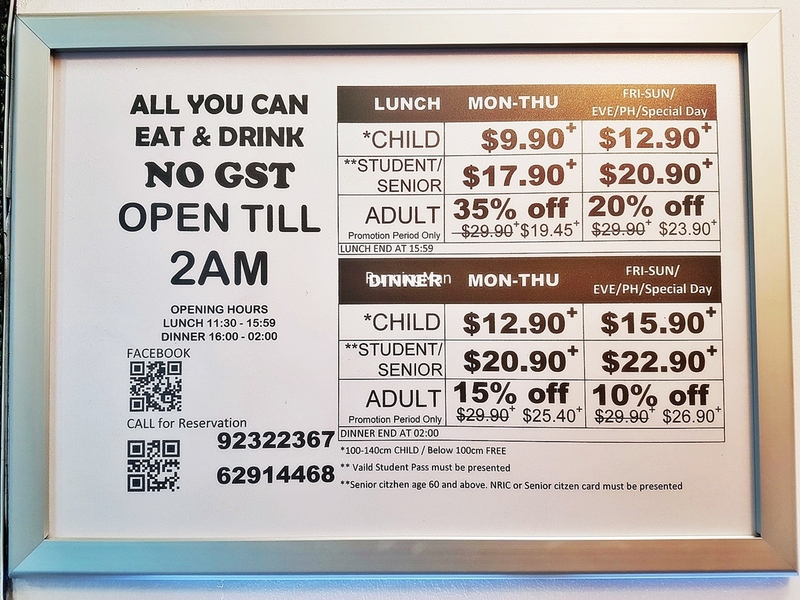 Prices are affordable for the buffet, budget about SGD $30 per person for a meal here. 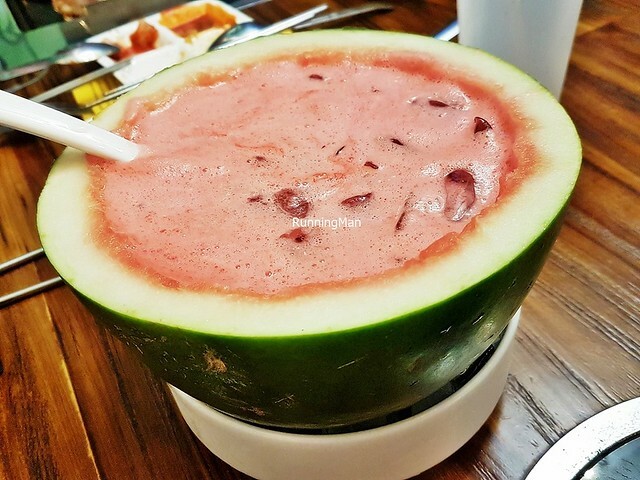 Loved the Sobak Soju / Watermelon Soju Cocktail (SGD $18), with its thirst-quenching properties, and the fruity sweet, boozy flavour. 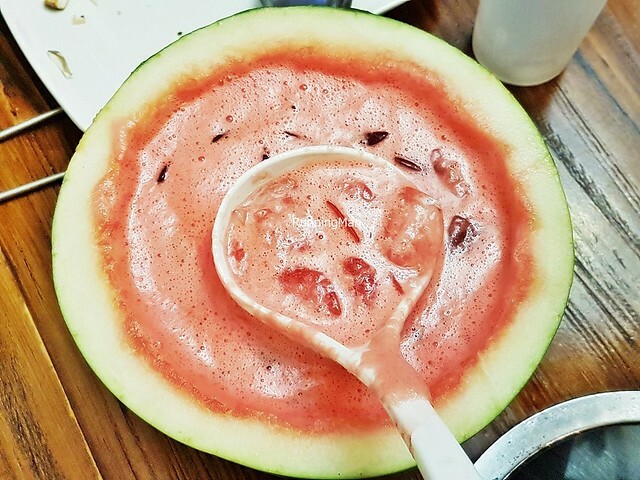 Nice touch in presentation by using the hollowed watermelon. Noticed that we were served differing sizes though, one was distinctly smaller than the other. 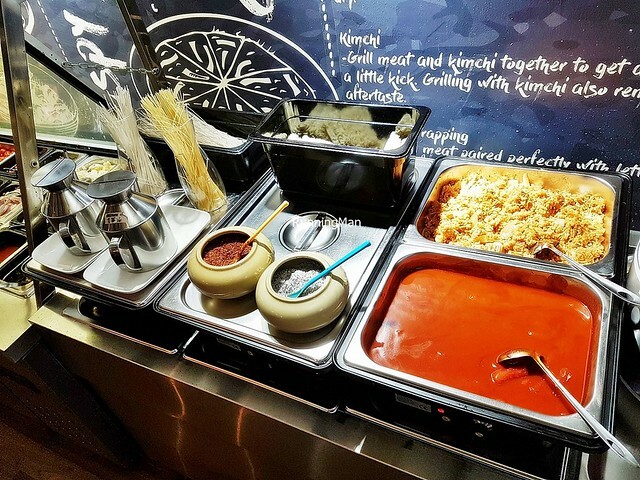 Of the 4 staples available, my personal favourite was the tteokbokki / ddukbokki / rice cakes, which had a rich, thick, sweet savoury spicy gravy, and a nice chewy texture. The sweet potato noodles was perfectly slipperly and chewy, with a delicate sweet flavour. But the kimchi fried rice was rather light, lacking in smoky wok hei / breath of the wok. 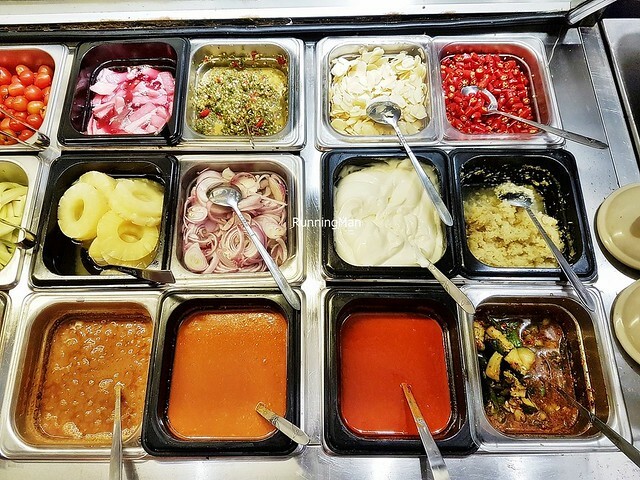 There is a good variety of sauces and condiments to pair with your meal. 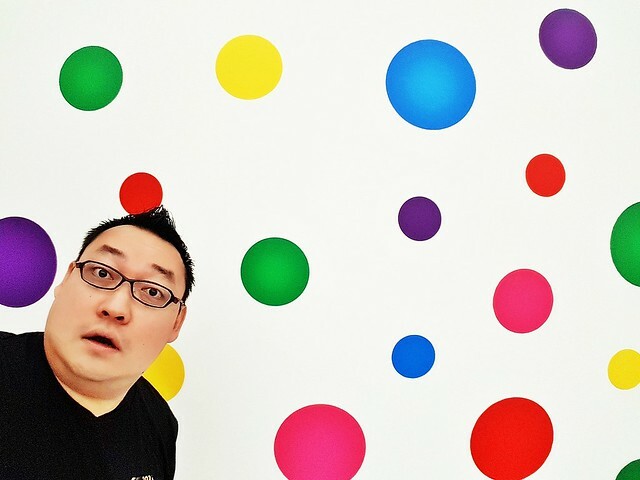 Of these, I personally prefer the South Korean style sauces. 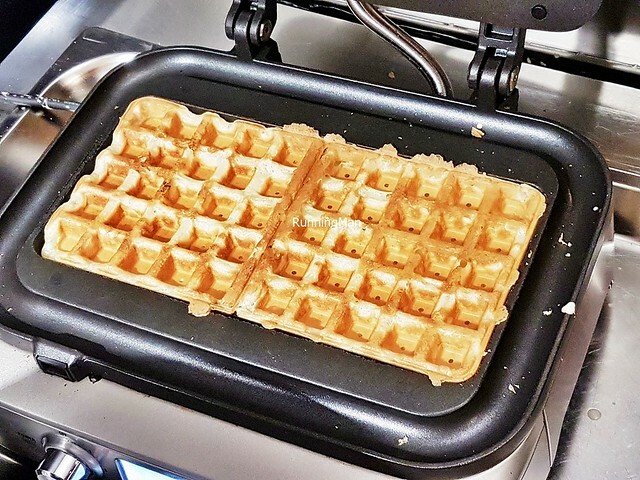 The Pineapple is the canned version, but makes a great addition to the dessert waffle. 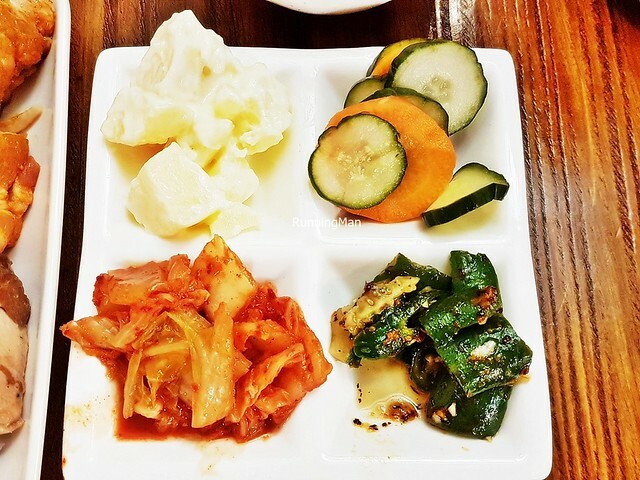 The Kimchi Oi Sobaegi / Kimchi Pickled Cucumber is worth getting, its juicy crunchy texture, and vegetal sweet spicy flavour complements the grilled meats. 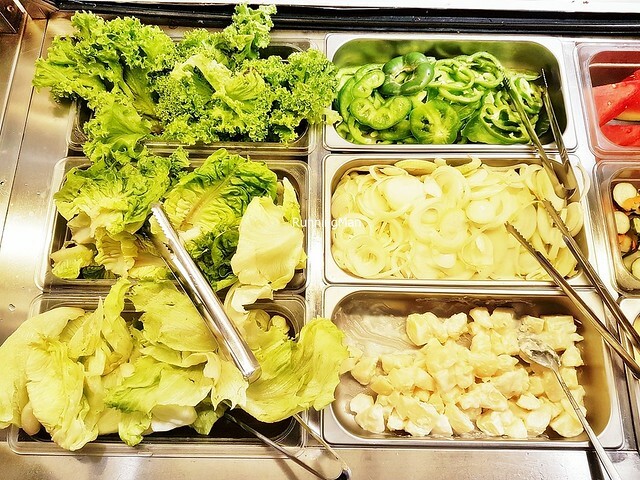 The salad options heavily feature varietals of fresh, crunchy lettuce, which can be used to wrap the barbecued meats. The Cherry Tomato brings a bright, juicy sweet flavour, while the Kimchi Baechu / Kimchi Pickled Cabbage is nicely sour spicy in flavour, with a light crunch to texture. 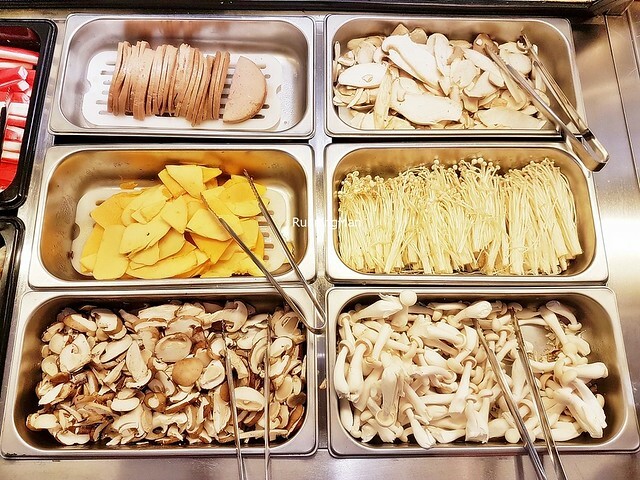 Love the grilled Luncheon Meat, as well as the earthy flavour when the assortment of mushrooms is grilled. We alternated a course of marinated meats, with a course of grilled vegetables. The Bulgogi / Marinated Beef was a stand-out for me, its robust savoury sweet salty flavour pairs very well with the staples. The Squid Balls are a little hard to grill though, and are better off steaming via the steamboat pots. The Black Pepper Fish is large and meaty, with a delicate sweet flavour layered with a spicy peppery flavour. However, the Squid is of poor quality, with a muddy flavour. 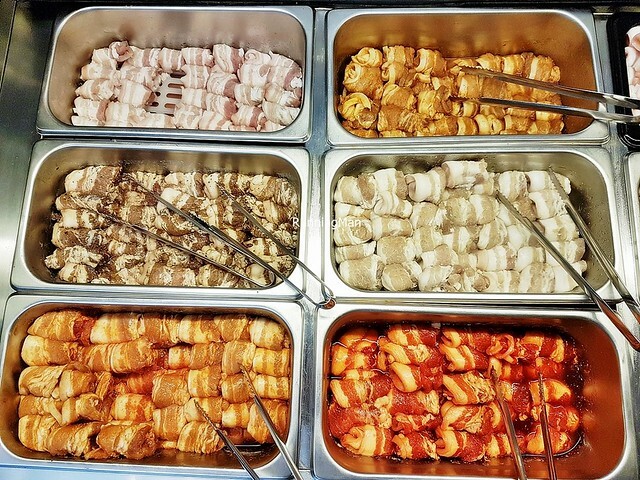 The unique Bak Kwa Bacon was delicious, really tastes similar to its namesake with that meaty sweet salty flavour. The Curry Chicken was also good, the notes of curry spice complementing the sweet taste of the chicken. Our favourites of all the options here were the unique Lychee Pork Belly, which has a fruity sweet flavour, and the Herb Pork Belly, which has a tangy refreshing sweet herbal flavour. We got 3 rounds of this! I like the spicy sweet touch of the Gochujang / Red Chili Paste Pork Belly. However, the Original Pork Belly is rather flat and bland in taste, and can be passed over. 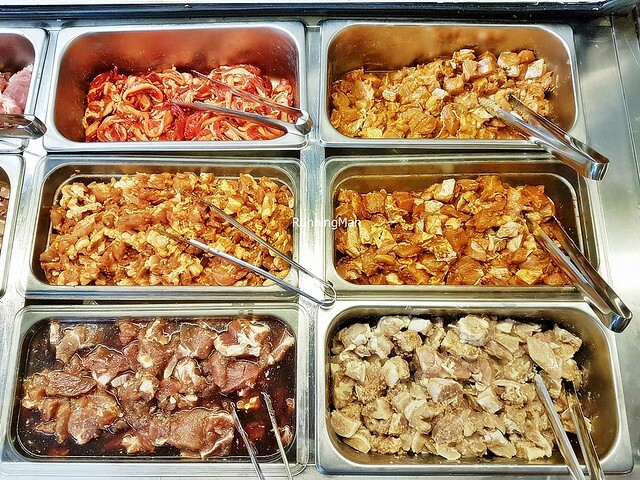 Ate our way through each of the marinated meat, but discovered its really difficult to sample every single item here in just 1 sitting, as the variety is too extensive. 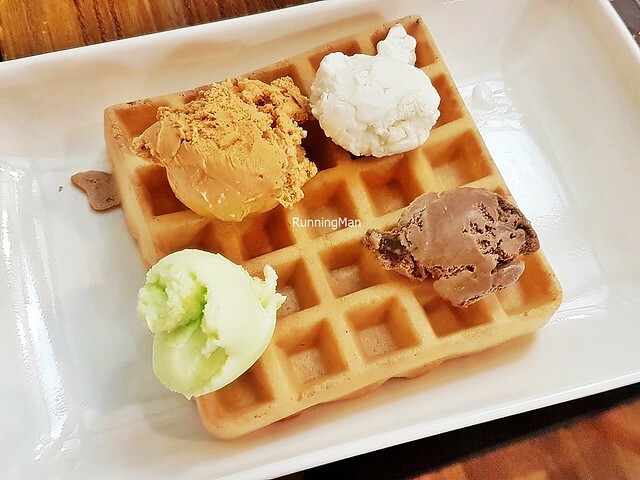 The house signature dessert is the Waffle, Plain, which staff help to prepare and serve to your table. It's fluffy and chewy and light, with a bready flavour. 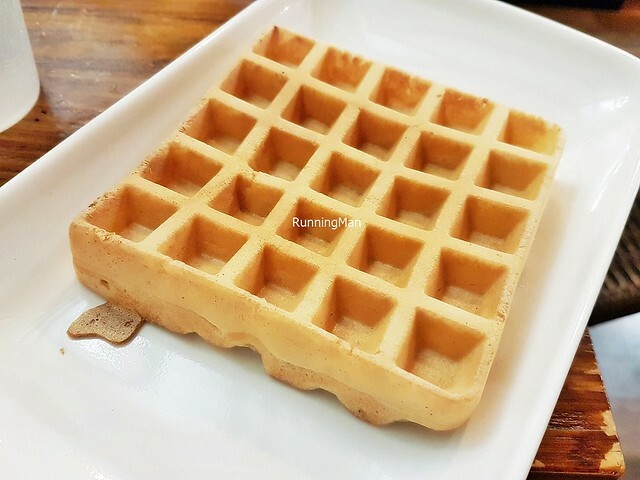 The waffle alone is good, decently tasty, though some buttermilk would have made it tastier. 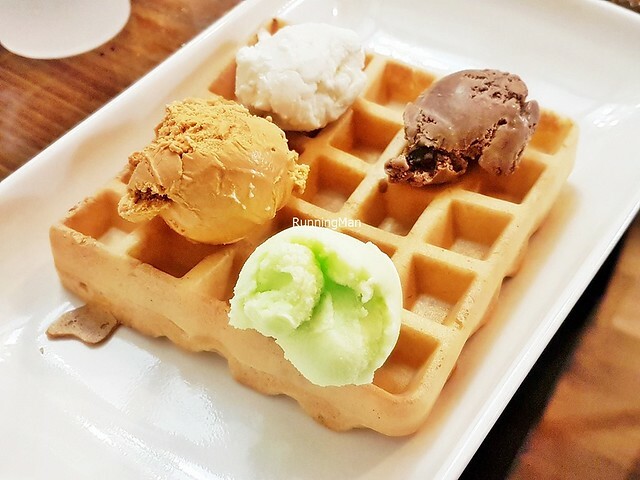 Add any of the 4 flavours of ice cream to enhance. 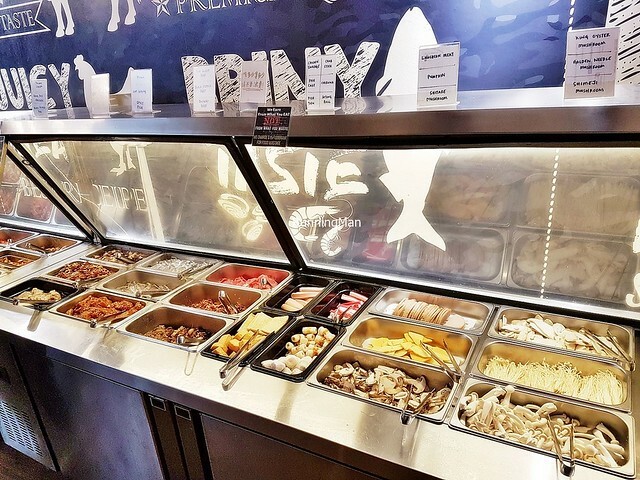 Personally felt the service and quality of food, at affordable prices, is enough to warrant return visits to Korean Fusion BBQ. However, the ambience could be improved, especially the ventilation and electricity loading. 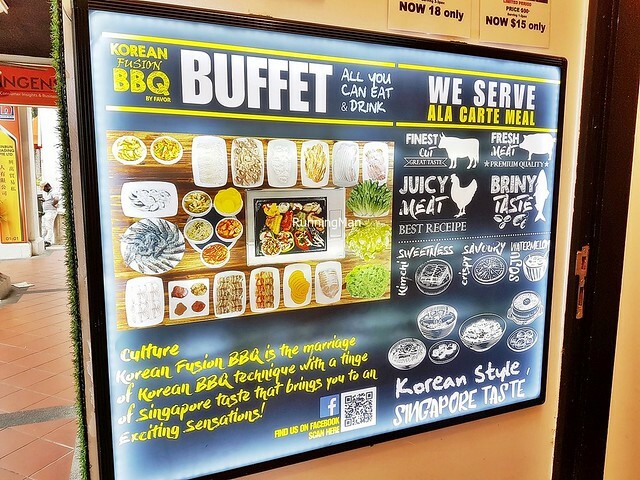 Can see why Korean Fusion BBQ attracts the young / student crowd, it's wallet-friendly enough, and fulfills its purpose as a buffet. 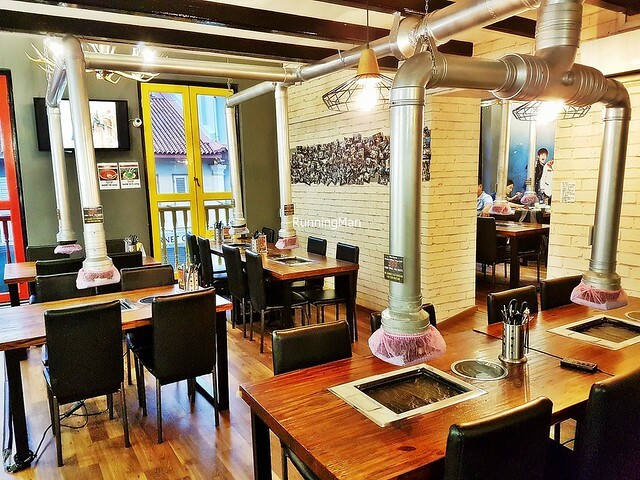 Slightly out-of-the-way location though, and hidden on the 2nd floor, it requires some effort to spot Korean Fusion BBQ.